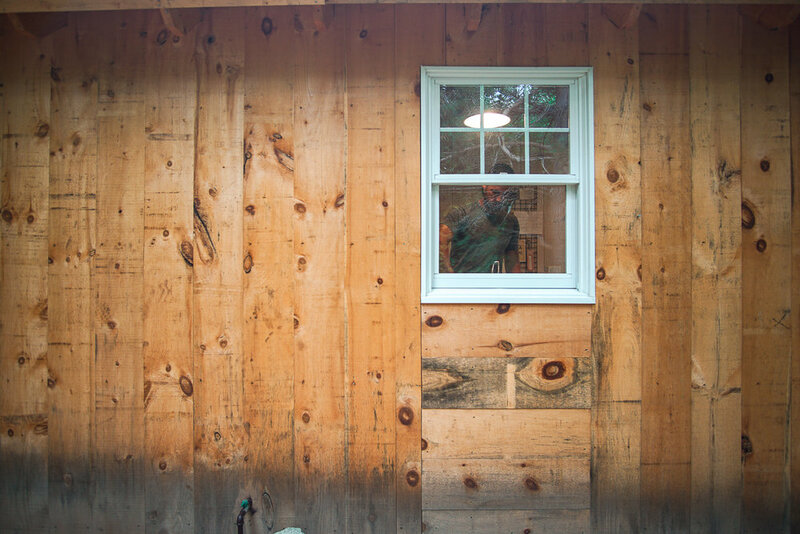 We don't know about you but ever since tiny houses showed up on HGTV we've been fascinated! The concept had always intrigued us and even though we don't think we could do it full time, getting away and trying it out for a couple of nights was awesome! Most people probably know about Airbnb by now, but if you don't you need to. 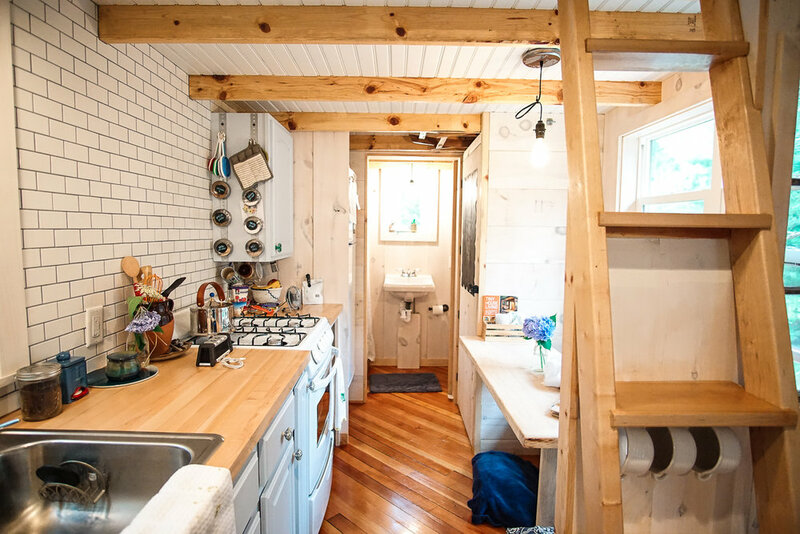 There are so many great options all over the world for stays and there are some incredibly unique properties like this tiny house in Charlevoix. Ellie is the rental owner and she is awesome! 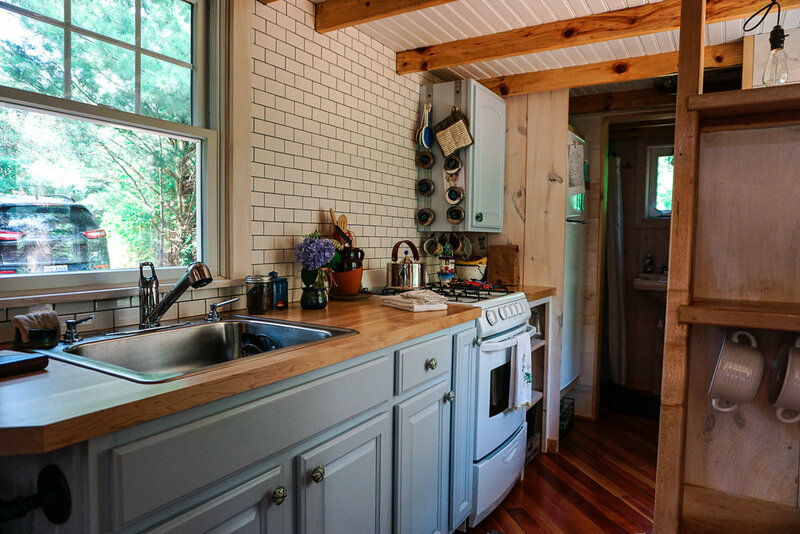 She built this while in college as her space and quickly realized she could rent it out its the perfect getaway location! 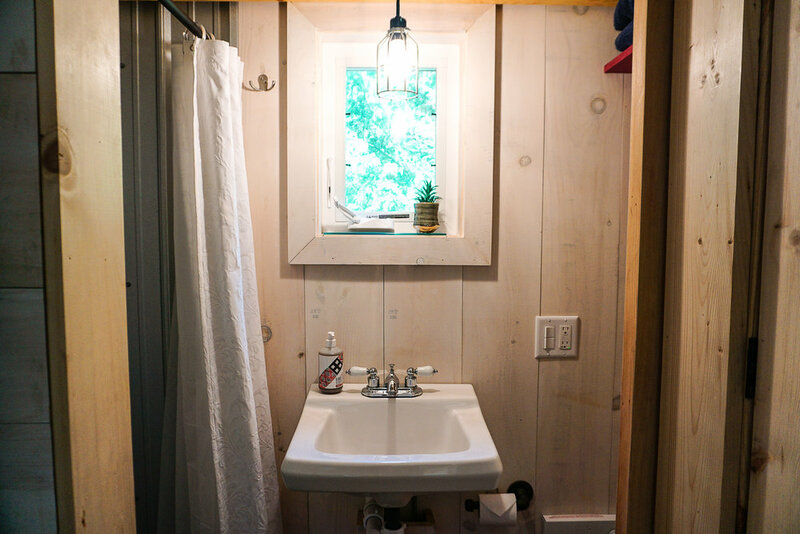 If you read her guestbook a lot of people have the same view of always wanted to try it out and get a feel for living in a tiny space without the commitment. 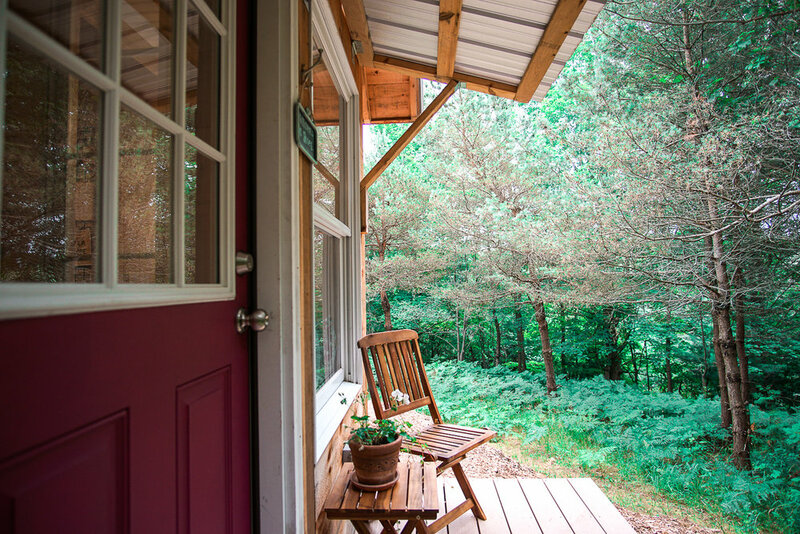 Ellie has created a perfect space in Charlevoix that feels like you are totally on your own. It also doesn't hurt that her space is so sweetly decorated. She put a ton of thought into the place and its evident in the design. She even has cleared out some hiking trails along the property so you can wake up an enjoy the beautiful property. Don't forget at night to sit outside and enjoy a fire with s'mores! She picks up a few things at the market for you as well as fully stocks you with a s'mores kit so you are ready to enjoy! 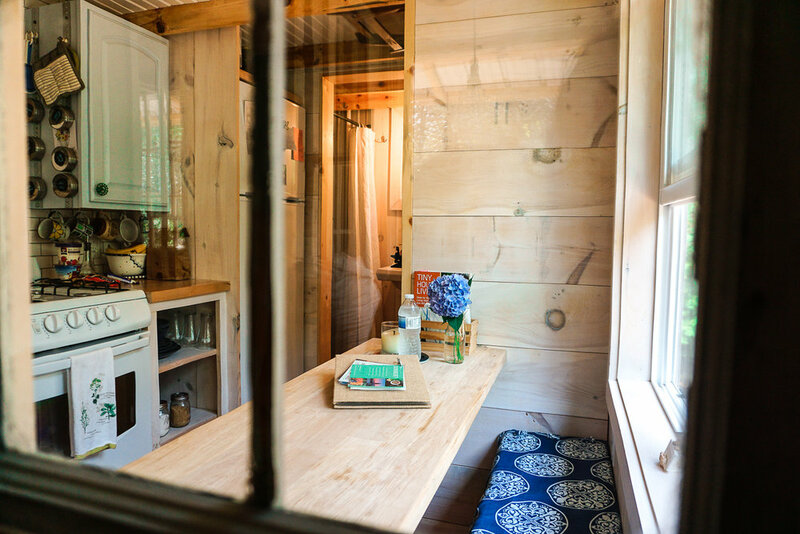 It feels like your camping but with a little extra luxury! The intimacy it creates with the person who you are staying with is really special as well. 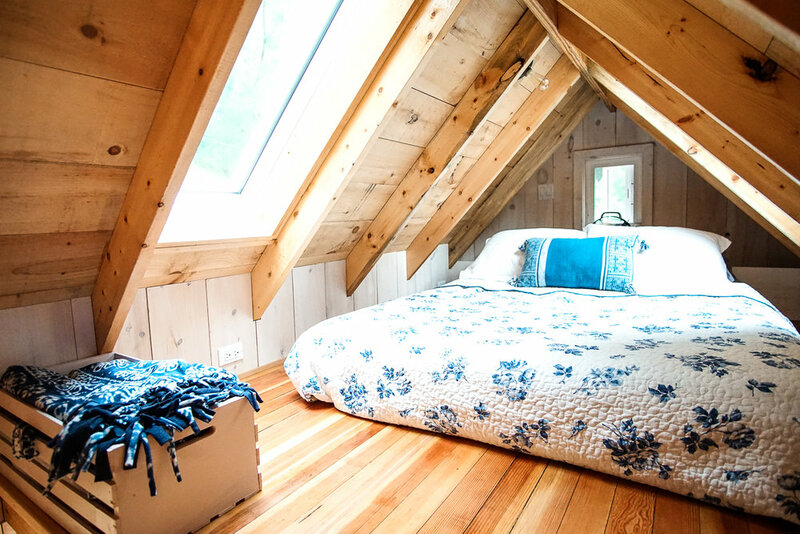 This Airbnb rental was definitely at the top of our list so far! • The window seat was the little best area! • The story why it was made. Ellie has an awesome book with a great narrative abut the building process and why she built it. • The simplicity and practicality of the space. 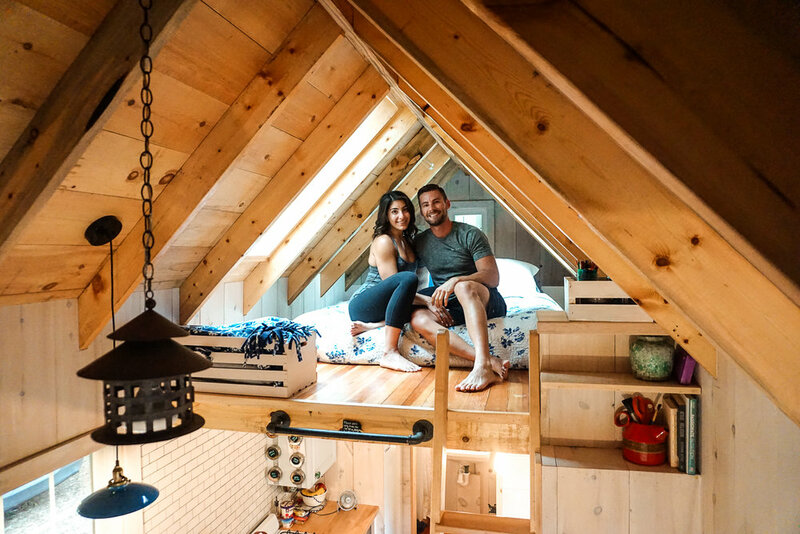 • The coziness of the loft. 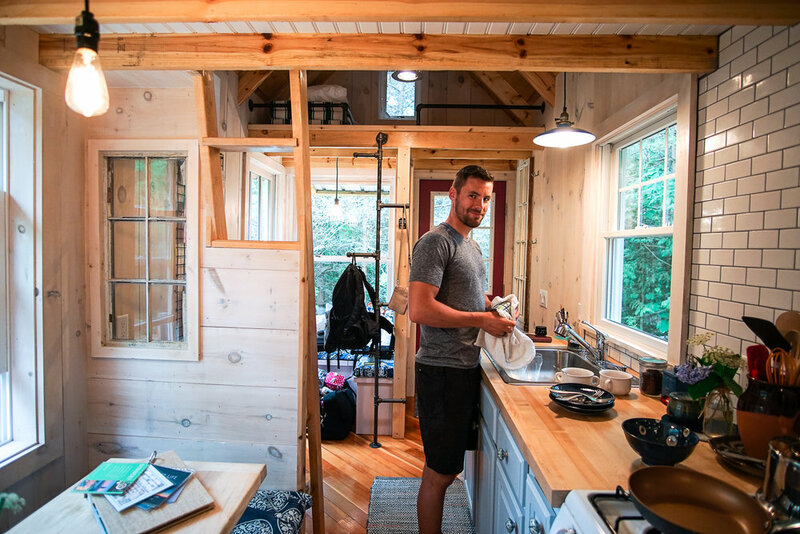 If you have ever thought about staying in a tiny home this is totally worth checking out!